All gem-quality diamonds are rare, taking billions of years for nature to form them. The journey from the mine to you is long and arduous. 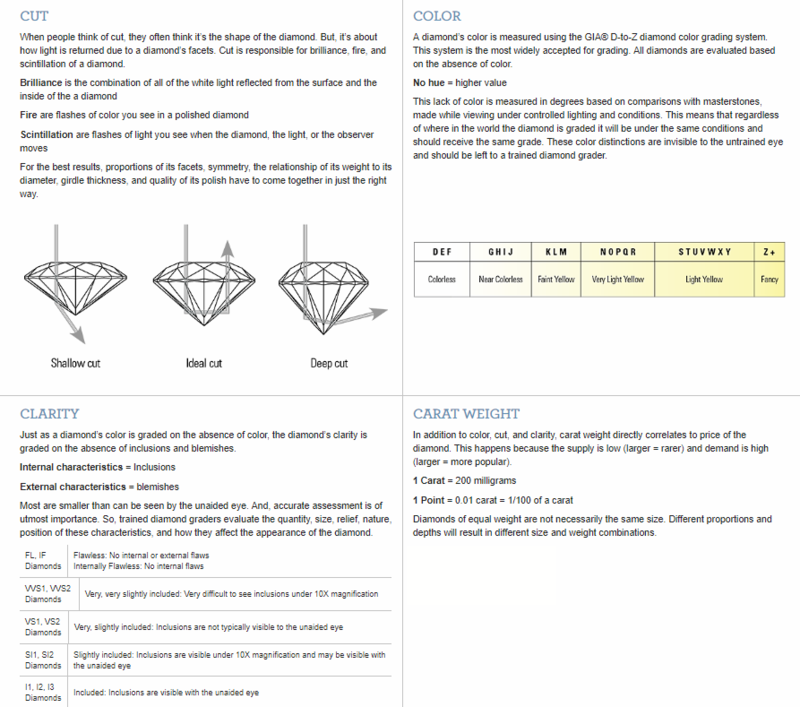 While the four C's information helps you to identify the quality of the diamond you are purchasing, it is the combination of these four characteristics which determine a diamond's rarity. If you imagine a four-sided pyramid, with each side being a diamond characteristic—the more readily available diamonds form the base of the pyramid while the rarest diamonds are at the top. Keep this pyramid in mind when you are selecting your diamond. Your selection of characteristics will determine rarity and value. And remember—beauty is in the eye of the beholder. A diamond can only be truly perfect if you think it is beautifully perfect for you.